With two years of success already behind it, the Gavia P22 Superlight wheel has been put under the microscope this past month. We have put it through extensive workshop and road testing, putting it through ascents and blazing fast descents on the winding mountain roads that Asia is famous for. Going from sea level to a little over 2400 feet and 50-60kms in between on basic road riding every day for several weeks, the P22 has definitely been put through its paces. As with every Pro-Lite wheel, the heart of the matter is Power Transfer. We took a good hard look and made some noticeable improvements. We can't give away our trade secrets, but we can tell you that we had 8 test riders give them a go and the difference is obvious the moment you clip in start pedaling. The responsiveness is even better than before on hard cornering and hard pedaling. 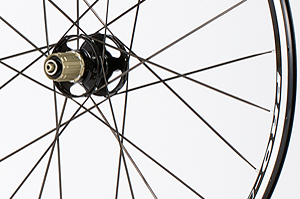 For riders looking for something a bit lighter but still with that signature Pro-Lite Power Transfer, this wheel will blow you away.